Tired of searching for the perfect sample of A3 Tri Fold Brochure? 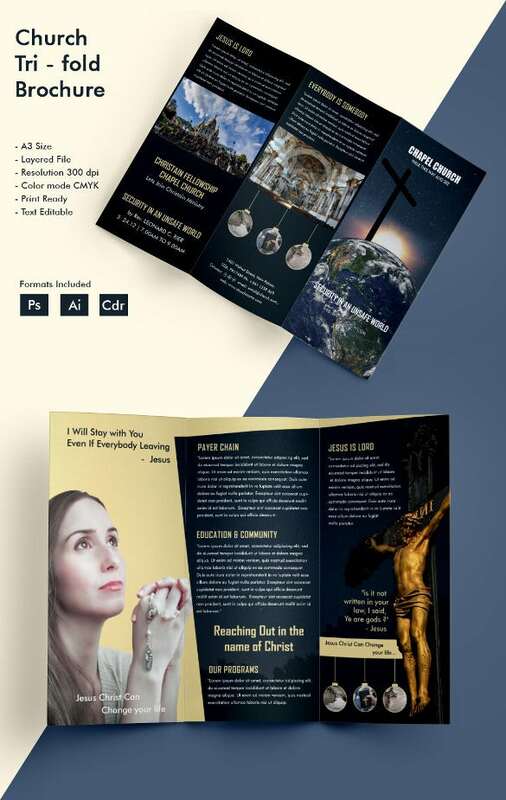 Well, we have the most amazing collection of church tri fold brochure available in A3 size. These sample templates are easy to use and these are our own designs which can easily be customised and edited. 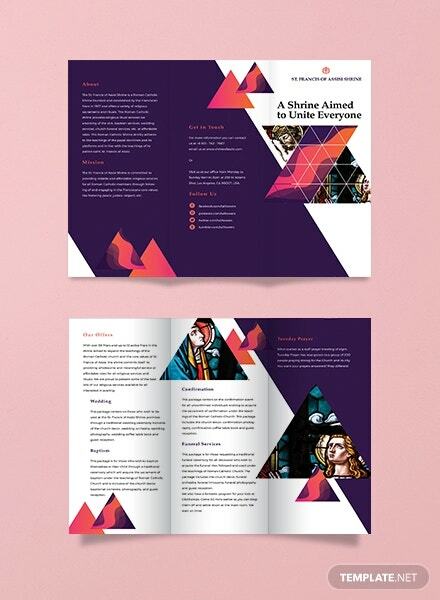 You can easily download these sample templates for free and customise them according to your choice of text and content. 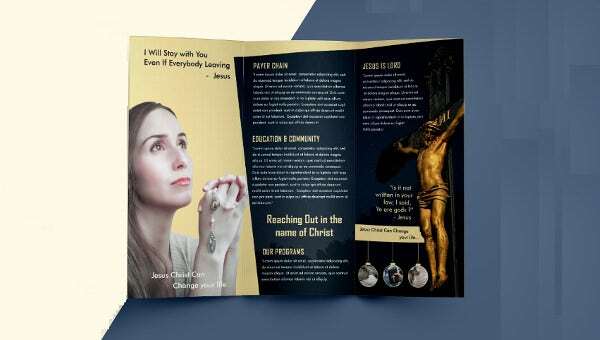 These tri fold brochure templates are print ready with a resolution of 300 DPI. 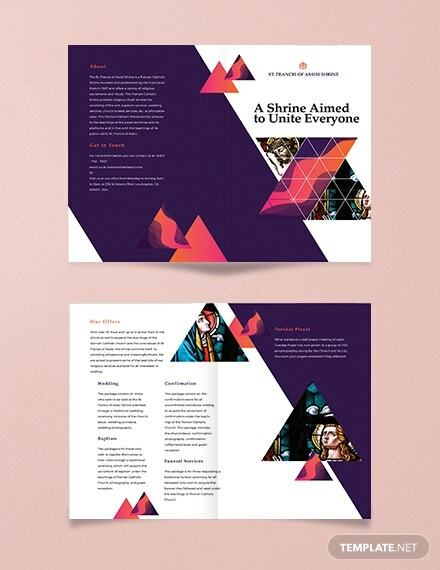 It’s a fully layered editable file so you can easily download your desired design for free and print it to use today.